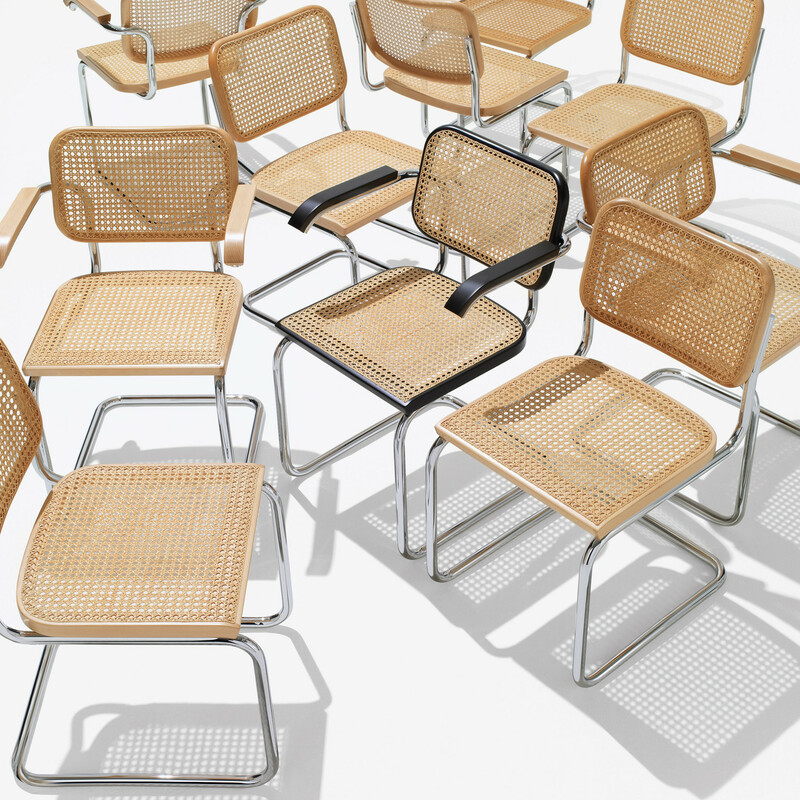 Cesca Cane Chairs with handwoven cane inserts, wood frame seat and backrest. Marcel Breuer's insight was to use a light gauge steel tubing with resilient form, creating a chair that appraoched his de-materialist ideal of "sitting on columns of air." 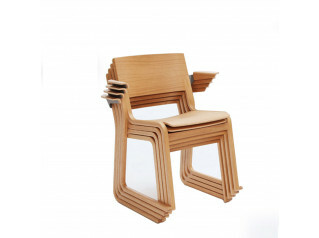 The cantilevered Cesca Chair is his greatest commercial success. 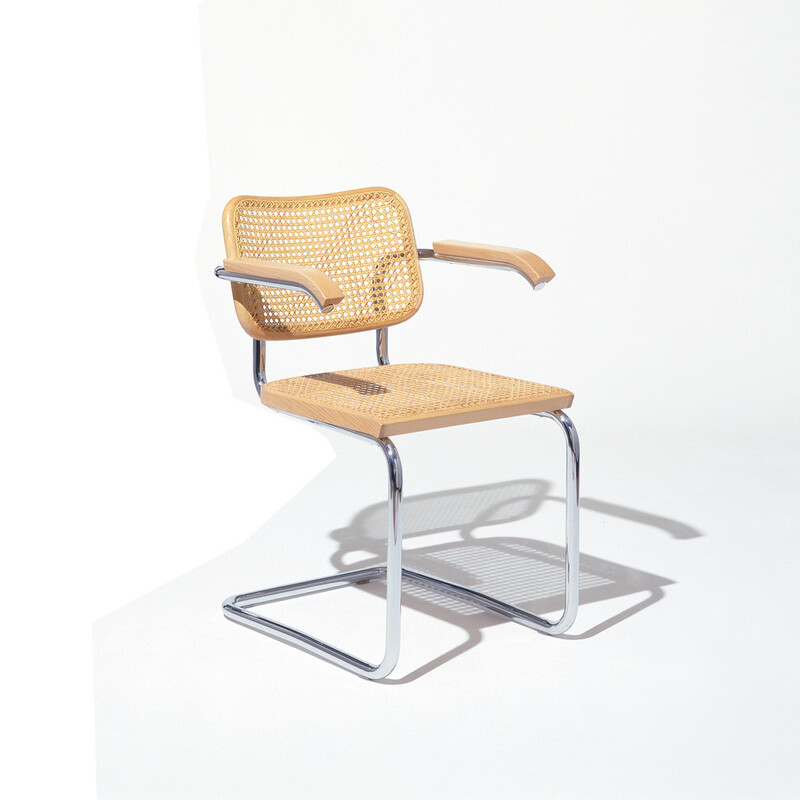 Cesca Chairs in Natural Clear Beech with handwoven can inset seat and back. Cesca Chair with arms in Ebonized Beech with handwoven can inset seat and back. You are requesting a price for the "Cesca Cane Chairs"
To create a new project and add "Cesca Cane Chairs" to it please click the button below. 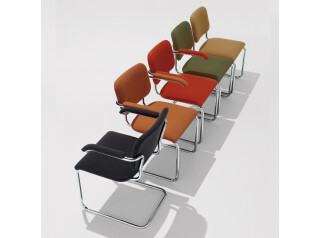 To add "Cesca Cane Chairs" to an existing project please select below.